Razer did not turn up at E3 this year with anything particularly outlandish, unlike their appearance at CES in early 2014. It did turn up with a new line of Kraken headsets, now in a range of eye catching colours. There was also the announcement of a World of Tanks themed Kraken to match the Deathadder gaming mouse and Goliathus gaming pad already available. A program for vendors to begin selling Razer branded and designed PC casings was similarly revealed at the largest gaming event of the year. The Razer Kraken Neon series updates the current Kraken headset with several bright colours that are guaranteed to make people notice. These Neon hues are a step away from the traditional black and green styling that is the Razer trademark. Both the Kraken and Kraken Pro have been given the neon treatment, and like before the only difference between the two is the addition of a retractable microphone on the Kraken Pro. The Kraken Pro also now comes with a World of Tanks theme. It follows the orange camouflage style of the WoT themed Death Adder and Goliathus, although it isn’t really as noticeable as the previous two. The first 20,000 units of the World of Tanks Razer Kraken Pro sold will also include 1,500 in-game gold as well as seven days of premium service. Razer puts the price of the Kraken Neon at RM219; while the Kraken Pro Neon will retail for RM269. 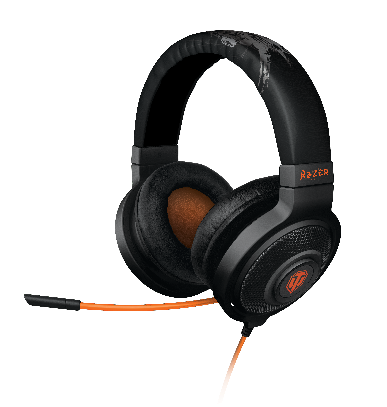 The World of Tanks themed Kraken Pro is priced at RM 279. All three are already available at Razerzone.com, and should be arriving in stores this month. 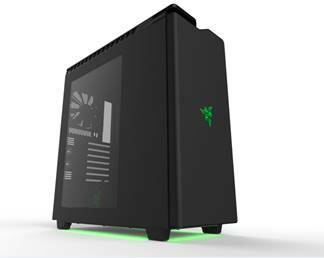 Finally, Razer has announced PC Case Design licensing program. This will allow manufacturers of PC cases to carry the Razer branding as a third party manufacturer. NZXT was chosen as the launch partner for the program, and will begin selling the ‘H440 – designed by Razer’ casing next month. The program is open to all manufacturers, although there is a strict vetting process that involves the approval of Razer’s design and engineering team. Interested manufacturers can find out more at the website.